Harms of Vaping, Is It Really Harmful? Is Vaping Really Safer Than Cigarettes? 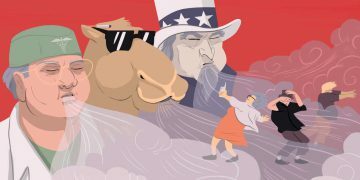 Vaping vs. 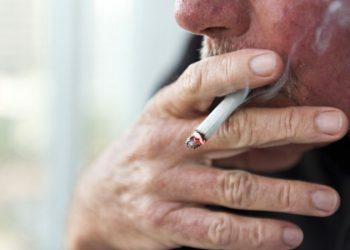 Smoking: Which is Cheaper? 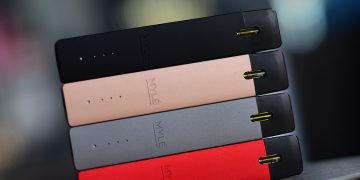 Will E-Cigarettes Rule The World? 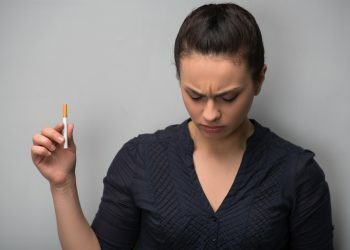 Why People Prefer Vaping Over Smoking? 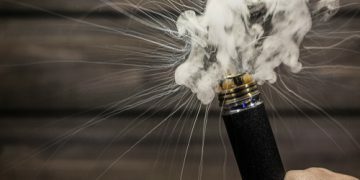 Vape Explosions, Myths or Reality? 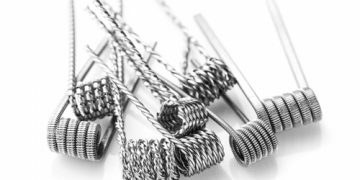 Metal Emissions In Vaping, Is It Real or Just A Myth? What is Vaper’s Tongue? What Causes Vaper’s Tongue? How To Get Rid of It? How Long Does E-Liquid Actually Lasts? Do E-Liquids Expire? Refilling Pods: Money Saver or Disaster? 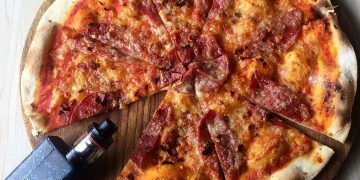 What Adds Zing To Vaping? Sweet Vape E-Liquids and Diabetes? Why Do Vapers Go Back To Smoking? Are You Lost and Don’t Know From Where To Start Vaping? 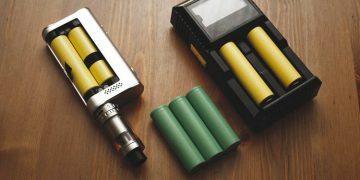 How Do Vapes and E-Cigarettes Work? 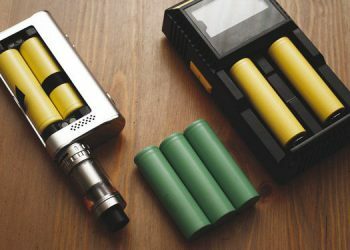 What are The Different Methods of Vaping? 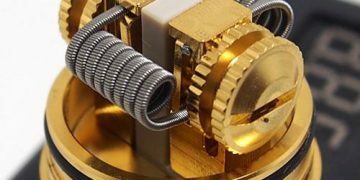 What Are Mechanical Mods, and Different Types of Vape Mods? 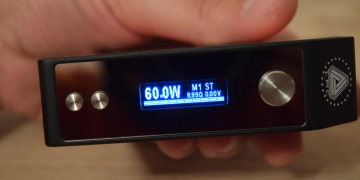 How To Adjust Mod Settings – What Will Hit Your Vape Sweet Spot? How To Make Your Own E-Liquid? 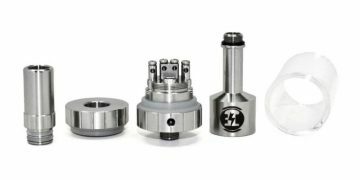 Which is Better To Buy, a RTA Tank or a Sub-Ohm Tank? 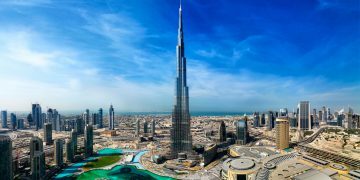 BREAKING NEWS: UAE Finally Allows The sale of Vape Products And Set The Quality Standards Of It! Big Tobacco, Big Pharma, Politicians, and Vaping! 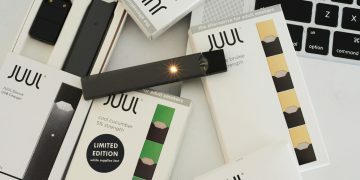 BREAKING NEWS: JUUL To Quit Selling Most Electronic Cigarette Flavors in Retail Shops, Cites Effort to Curb Teen Vaping! 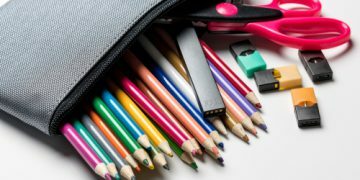 University Research Supports Vaping, Why The FDA Is Not Listening? Are you in the market looking for a new e-liquid, but cannot find the right juice of your choice? Let’s Suppose you find your favorite juice, but the proportion of VG/PG is not according to your need? Maybe VG/PG is good, but the nicotine strength is not what you wanted? 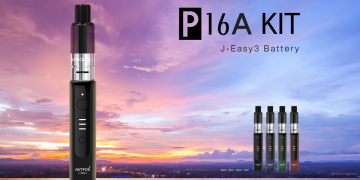 Are you tired of spending your hard-earned money on so-called premium E-juice? 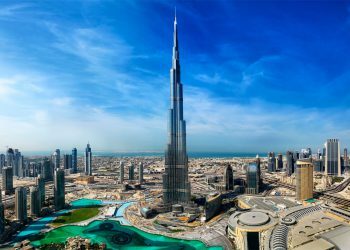 Do you live in a country or a place where you do not have a store to buy a new juice for you? You have come to the right place, because we have an answer for you. Making your own E-juice is simple and easy. It will save you a lot of money, and you will be able to make a juice exactly the way you wanted. 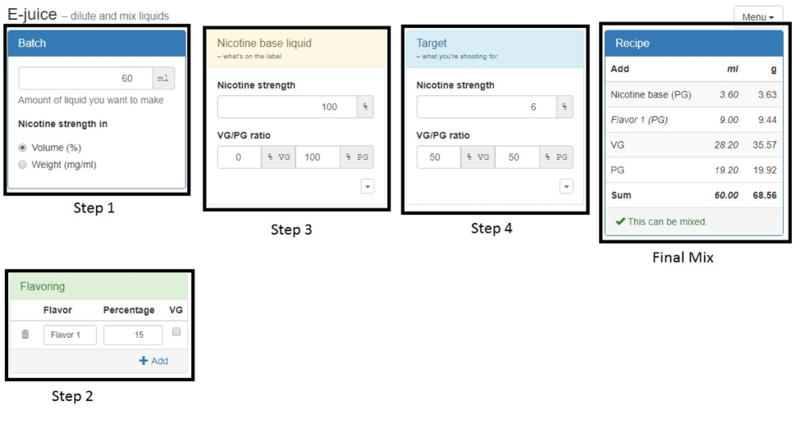 You can set your own nicotine strength, throat hit, PG/VG ratio whether you’re making a juice for cloud chasing or flavor chasing. 1. Vegetable Glycerin – VG. Vegetable Glycerin on its own is thick and sweet chemical. It is what provides the body to your Liquid. The more the ratio of Glycerin in E-Juice the denser and smoother the clouds will be. 2. Propylene Glycol – PG. 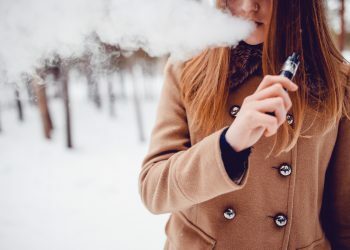 Propylene Glycol is the ingredient in the E-juice which carries flavor and provides throat hit, and is used in many of your daily processed food items. 3. Diluted Nicotine (PG/VG Based). Nicotine in E-juice comes in the form diluted with either PG or VG. Those who want to make the max VG juice so that they can chase bigger clouds, tend to use VG diluted nicotine. Those who want better throat hit and flavor tend to use PG Diluted nicotine. As PG is the carrier of flavor there are many brands selling One-Shot Flavor Concentrates of your choice to make your own E-Juice. One Shot Concentrates comes in wide variety of range of whatever taste of flavor you’re into whether it be fruity, tobacco, soft drinks or desserts…etc. All things can be easily bought from your local superstore. 1. Open your web browser and Go to http://www.steam-engine.org/juice.html. 2. Here you will find a calculator for your E-Juice. 3. In the Calculator you will enter the Values as you desire. Here I have Given an example of 60ml liquid, of 6mg nicotine 50VG/50Pg E-Juice. 3.a. In the Batch Section as shown in “Step 1” of image enter total quantity. 3.c. In “Step 3” enter the Diluted Nicotine Strength. Its always written on the bottle. 3.d. In “Step 4” enter the final nicotine strength you want in your juice. 3.e. Now you get the final Calculations of the mix. 5. Give a nice shake to your beaker. 6. Fill in your 60ml bottle from the beaker. 7. Now store it in a cool Dark Place for Steeping. All of your juices requires Steeping. Steeping is the time when you store your juice in a dark place like your drawer away from light so they can chemically bond to each other. If the juices are not steeped well enough, you cannot experience the true flavor. 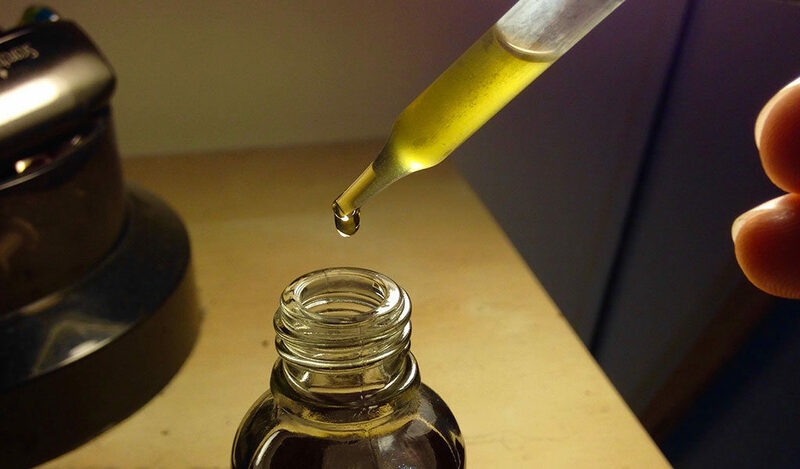 Steeping time is always mentioned by the manufacturer of your one-shot concentrate. In general rule of thumb, 8 days are required for good steeping. 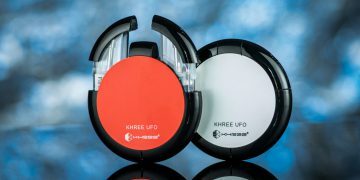 If you want to speed up the steeping time, you can buy an ultrasonic steeper. 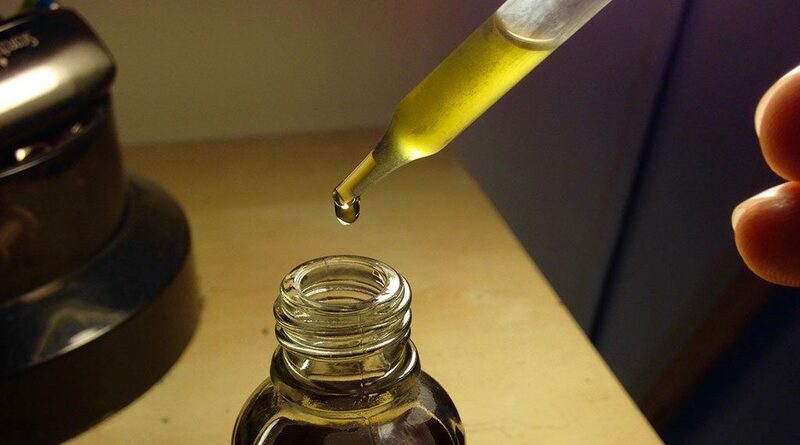 After steeping is done, you can vape your own handcrafted Premium E-Juice. Please share with us your experience in making your own juice, below in the comments. Why Governments Are Against Vaping? How Much Should I be Vaping? © 2018 QSSV – Quit Smoking. Start Vaping. by www.QSSV.net. © 2018 QSSV | Quit Smoking. Start Vaping.